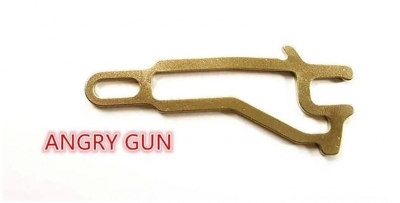 ANGRY GUN Steel Light Weight Bolt Stop Plate for Marui MWS M4 / CQBR Block 1. Material: Carbon Steel with Nickel Coating. Improve the efficacy of the bolt lock function.